Are the powerful Patriots ripe for the picking? The bear is wounded. The bear is bleeding. The bear is frustrated. Ask yourself: Does that make him more vulnerable? The New England Patriots, the dynastic New England Patriots, have been rendered mortal. Their defense has been wretched, something you would normally find in, say, Cleveland. They cannot stop anyone. They can't slow the big plays. They cannot protect their end zone. So does that make them dismal? How do you look at the Patriots faltering start to this season? Do you see hope in the gaps in the New England defense? Or do you see a team that everyone knows will be around at the end? Do you think they are vulnerable? Or do you think all of this is just going to make them mad? Still, it's New England. And the Patriots have a lot more on their resumes than the four games of this year. It's the darnedest thing. New England has won so often, and so big, that we cannot imagine it ceasing. Sooner or later, the Patriots will wake up, and lo and behold, they'll be the Patriots again. No one doubts that. Bill Belichick is still Bill Belichick, and Tom Brady is still Tom Brady, and Rob Gronkowski is still Ron Gronkowski. In Tony Dungy's first playoff season, he needed a signature win to boost the Bucs' franchise. They got it in a 13-6 victory over San Francisco. This could rival that game. For now, however, do the Bucs have a chance? In other words, no one nationally seems to believe that the Patriots have fallen so far they've passed Tampa Bay. Who can blame them? In the last eight years, the Patriots have eight playoff appearances and two Super Bowl wins. The Bucs have zero playoff appearances. It's as if the world looks at Belichick and figures that, once again, he'll find a cure. There is no one in the NFL who applies Band-aids quite as strategically as Belichick. To me, this matchup is about one thing. It's about Brady dropping back in the pocket, and the Bucs unable to get close enough to shout at him. Tampa Bay has one sack in three games. And giving Brady time is inviting doom. For the Bucs to have a puncher's chance in this game, it needs to force turnovers. It needs to start fast. It needs to ride out the inevitable rush by the Patriots. And it needs Brady to be less than the best to ever play quarterback. 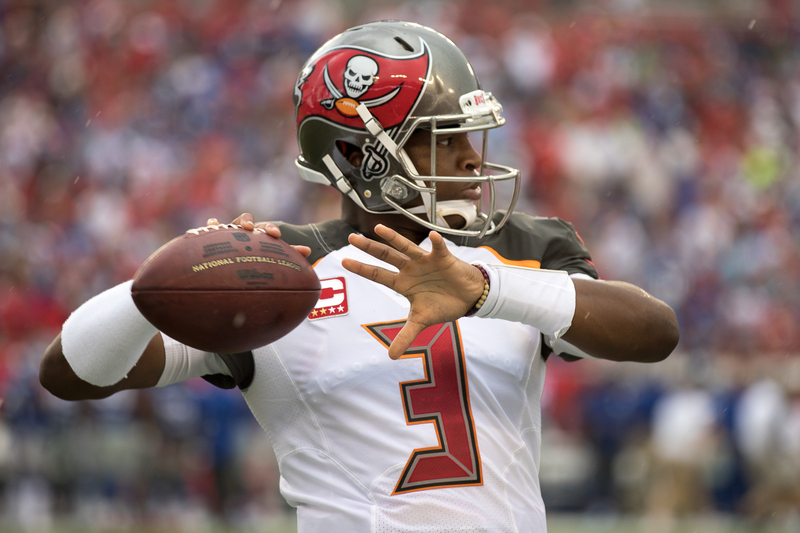 Like usual, to win, the Bucs need a terrific performance from quarterback Jameis Winston. By now, that should go without saying. Of course, the Patriots still have Brady, who has thrown for a league-leading 1399 yards and 10 touchdowns. But he's been sacked 13 times, tied for fifth in the NFL. "We have not been able to get the quarterback on the ground,” said Smith. “We had some pressures where we’ve gotten him to move off the spot. Sometimes sacks are like turnovers — they come in bunches. We haven’t been able to turn the ball over. Those two areas are the biggest concerns of what we have not accomplished in the last two weeks. It’s not always just the guys that are rushing. It’s also what’s happening with the coverage. We’ve got to do a good job of making sure when the quarterback is trying to throw the ball that if it’s a man coverage, we’ve got to be in phase with the guys. If it’s a match coverage, we’ve got to be matching them. It’s across the board — we’ve got to be better and we’ve got to be more productive though in terms of putting pressure on the quarterback and affecting the quarterback. Bucs' quarterback Jameis Winston is looking forward to playing against Brady. Expecting another embarrassing laugher on national TV. Hope I’m wrong. I think we all have been worried about this game since the 2017 schedule was posted! This is one of the six games I was sure the Bucs would loose. I hope they prove me wrong . I do hope the score is not too embarrassing since we have yet to show a decent pass rush! They will definitely need to bring their A game to handle the Brady Bunch! Buckle up for this one fans! This will be a real test of who this team is and where they are going! Agreed. They don’t need to get spanked. Next post: Will this be the year that Miami finally beats FSU?